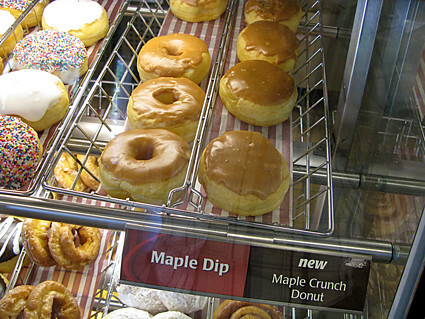 Justice George Strathy of the Ontario Superior Court recently issued a summary judgment in favour of Tim Hortons, dismissing an attempt by some franchisees to argue that the chain was wrongly profiting from a switch in how the company makes its baked goods. Under what’s known as the “Always Fresh Conversion” several years ago, the company stopped making baked goods from scratch in each location every day, and instead started shipping partially baked items that had been flash frozen before final baking in ovens at all Tims locations every morning. The new system has proven very profitable for the parent company, but some franchisees complained it simply downloaded new costs to them while the parent company pocketed the savings. The case also alleged that Tims was requiring franchisees to sell new lunch menu items at break-even prices — or sometimes even at a loss. The plaintiffs allege that’s a breach of their franchise agreements, which states ingredients would be sold to franchisees at commercially reasonable prices. Nearly ever franchise agreement I’ve read allows the franchisor flexibility in specifying what products must be sold, even if this involves a fundamental change in the way the product is produced. I doubt the primary motivation of Tim Horton’s is financial, I’m sure there are consistency and labor cost savings involved, but stepping into the shoes of the franchisee I understand their frustration of this added “fee”. On a side note, Dunkin Donuts uses frozen dough.